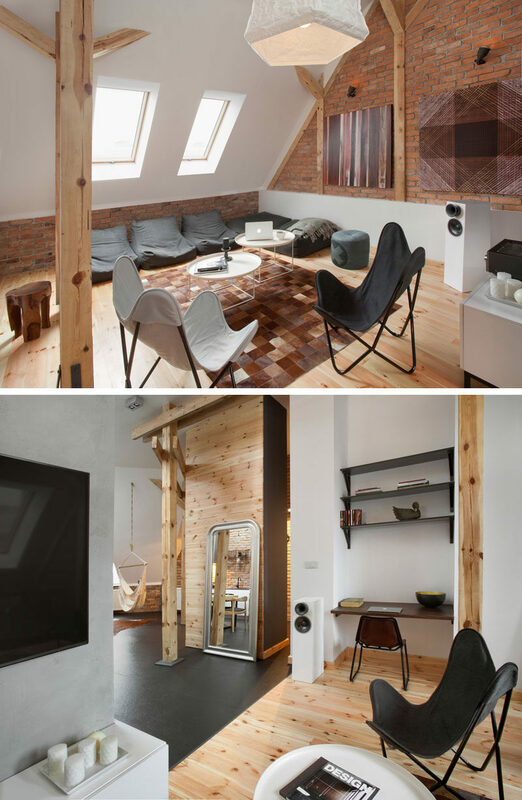 Design firm CUNS have renovated the loft of a building in Poznan, Poland, that was built in the late nineteenth century, and transformed it into a contemporary livable space. 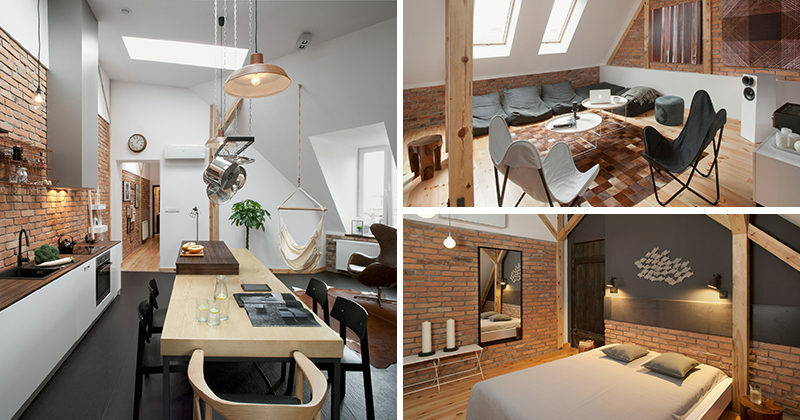 When designing the loft apartment, the designers wanted to maximize the open space as much as possible, and provide plenty of light. They did this by keeping the original height of the rooms, adding more windows and painting most of the walls a bright white. 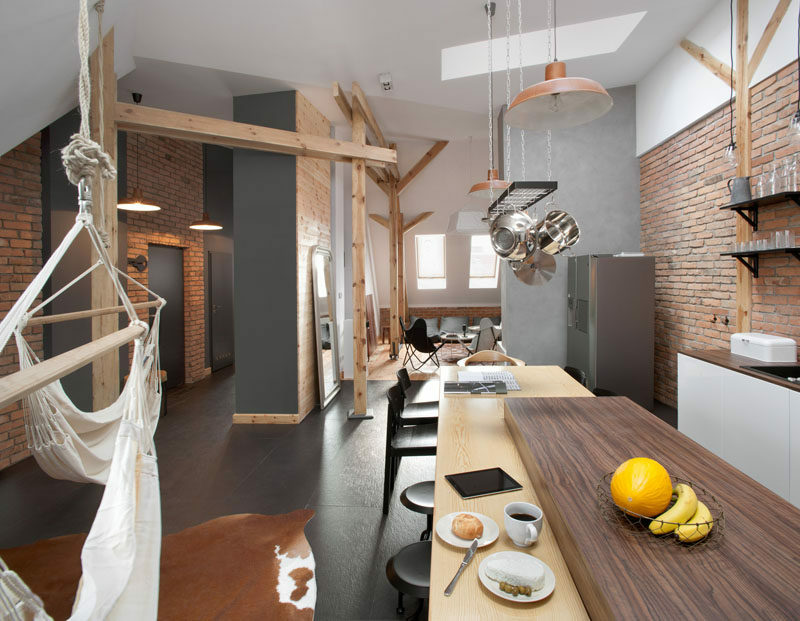 Throughout the apartment there are touches of brick and wood, which pair nicely with the wood flooring and dark charcoal gray tiles. In the bedroom, a wall has been painted dark gray and features a delicate piece of artwork in the form of a school of fish. 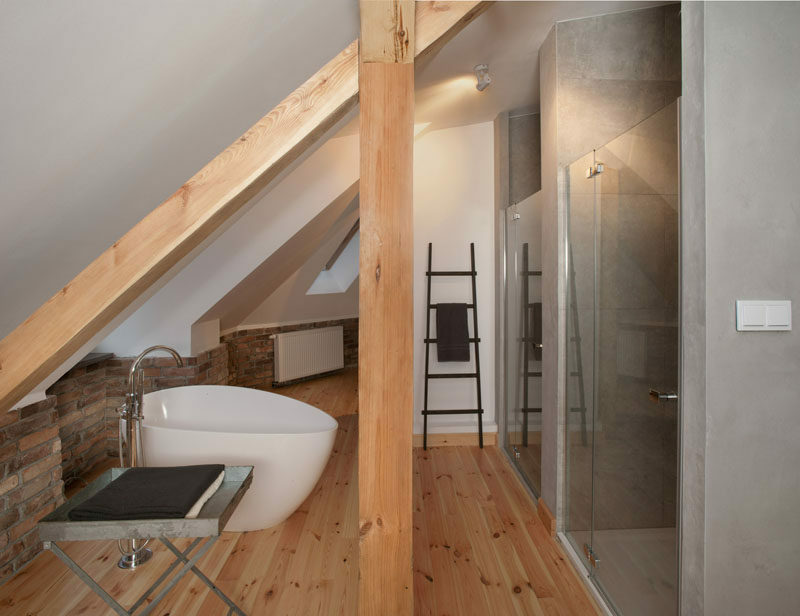 Also in the bedroom is a bathroom, which is open to the rest of the room. There’s a standalone bath that has views out of the window, and on the right there’s separate boxes for the shower and toilet. 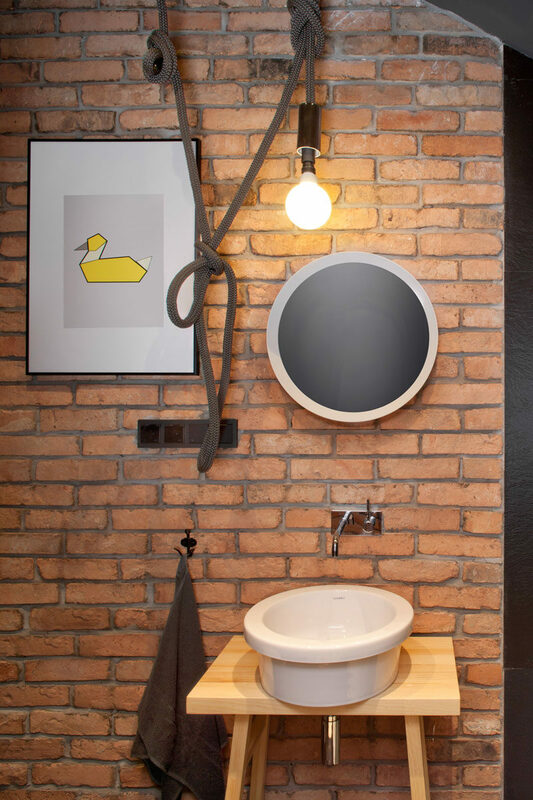 For guests, there’s a separate bathroom located in the main hallway.